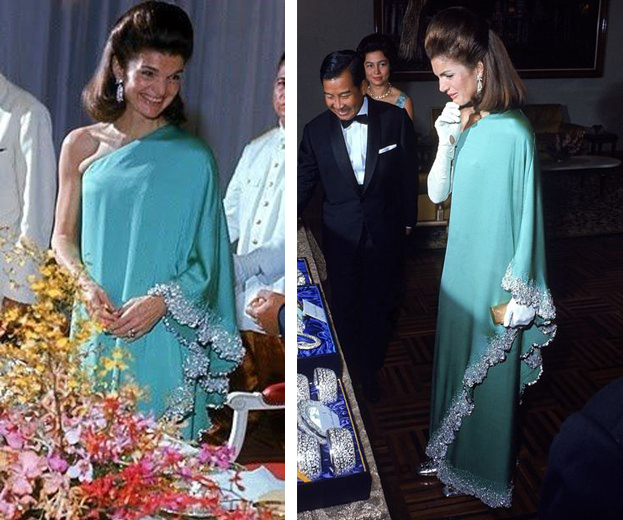 The mint green embroidered satin one-shouldered toga dress by Valentino, that Jacqueline Kennedy wore in 1967 during her trip in Cambodia is one of the most iconic dress of a history of fashion; in 2001 Princess Marie Chantal of Greece wore it to the exhibition “Jacqueline Kennedy: The White House Years”. Jennifer Lopez wore the same Valentino's dress for the red carpet at the Oscar 2003. 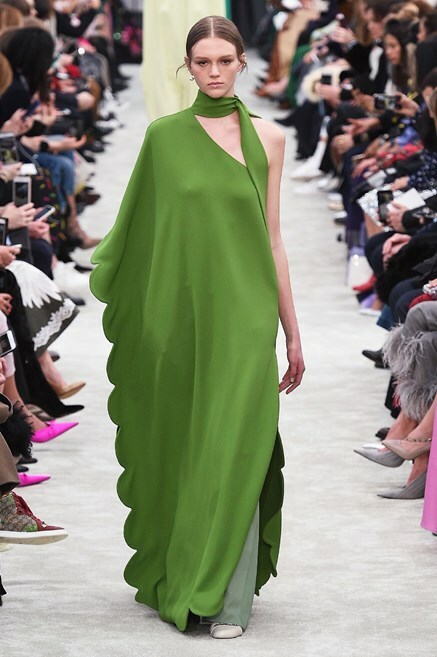 Pierpaolo Piccioli designed a dress inspired to the original of 1967 for the 2018/19 Fall/Winter Collection. 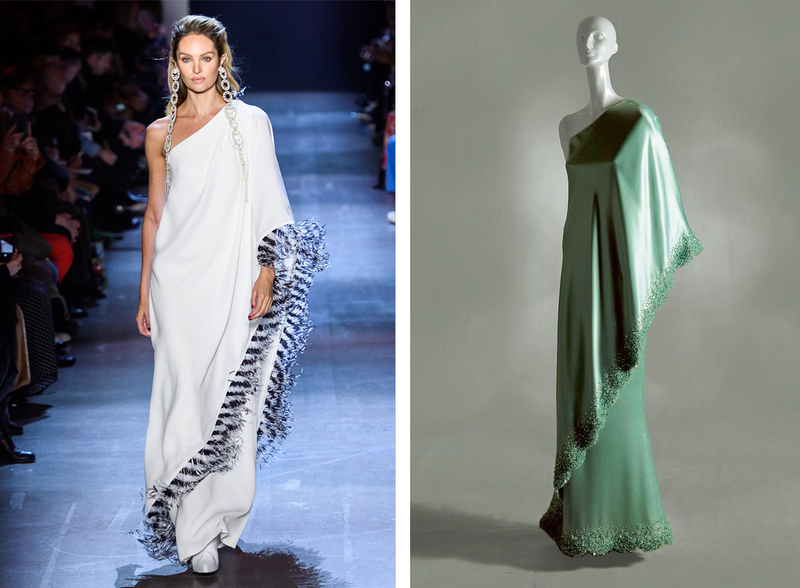 Prabal Gurung for the next winter collection applies feathers to the hem instead of embroidery.